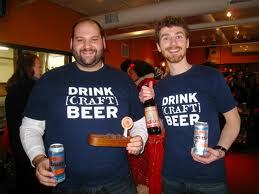 With Major League Baseball’s 2014 opening day around the corner one of the hottest topics for baseball lovers is beer. Teams are building new state of the art stadiums and fans tastes are becoming more discerning and here in San Francisco that is reflected in the libations offered at AT&T Park . Specifically, craft beer has become a big part of the baseball experience. The Daily Meal took a look at which parks in the MLB have the best selection of craft beers to offer. Our own AT&T Park cracked the top 5 league wide. Keep in mind, they may cost over $10 a pint but at least they will taste excellent with your $9 polish sausage. 5. Nationals Park, Washington, D.C.
Read the rest of the top ten at www.thedailymeal.com.